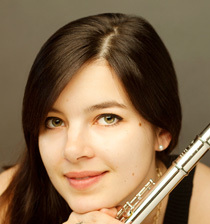 In April 2013, Mathilde CALDERINI won the First Prize of the prestigious International Flute Competition in Kobe, Japan. She had already been awarded the special prize of the Best Young Flutist at the Maxence Larrieu International Flute Competition. Born in 1989, Mathilde CALDERINI studied with Claude LEFEBVRE at CRR de Paris, and with Sophie CHERRIER and Vincent LUCAS at the Paris Conservatoire. She also trained at the Royal Academy of Music in London with William BENNETT and Samuel COLES. 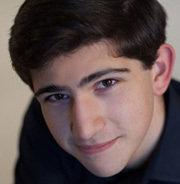 Mathilde CALDERINI has developed her chamber music passion under Paul MEYER and Eric LESAGE’s guidance, in several formations prior to create the Bel Air Trio with Aurèle MARTHAN (pianist) and Zoe KARLIKOW (cellist). “Mathilde’s great personality is characterized by the delicacy and precision of her music and her very impressive virtuosity ...” Gaëlle Le GALLIC in the radio program lunchtime concert, France Musique (July 2009). Mathilde CALDERINI was awarded several bursaries and distinctions: “Révélation Classique Adami” 2012. In September 2011, thanks to Renaud CAPUCON, she received a vocation scholarship “Prix des Neiges”. 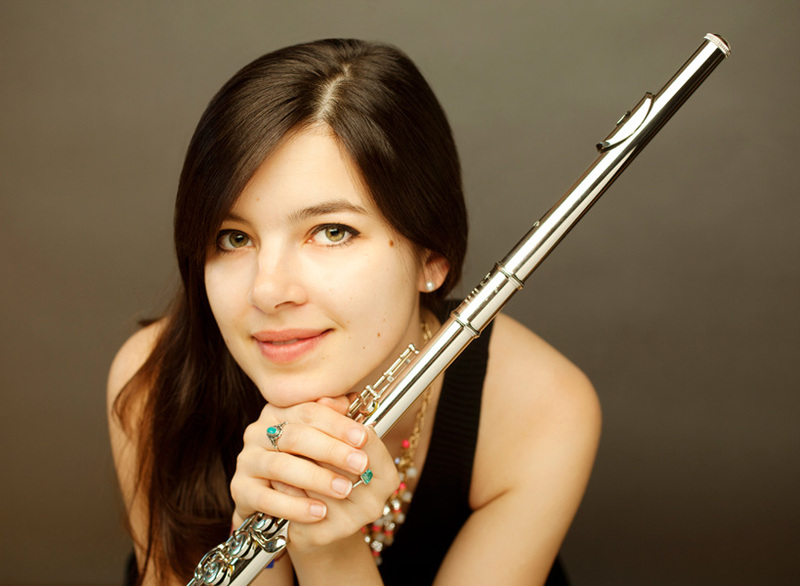 Moreover, she was supported by The Leverhulm Trust for being principal flute of Aldeburgh World Orchestra and by Lord Filkin as a member of Southbank Sinfonia.